Considering Facebook’s overwhelming popularity, more and more people are wondering how to hack deleted facebook messages – and with modern technologies, one can spy on someone’s account even without knowing its password. 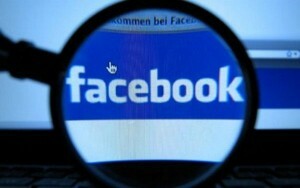 Facebook spying has become a need for people to monitor someones mobile and knowing about their detailed facebook chats. You might wonder about how to retrieve the messages from girlfriend’s, boyfriend’s, wife’s or husband’s cell for free; then downloading of the FB messenger hacking software is beneficial. It is possible to get the top applications online, which track others and you are able see every single activity, including reading conversation, recover deleted history and almost every single thing you want to know. It is not required to have their login, but you can trace the whole data of any cellphone (android or iPhone) and view all the info. You can get keylogger function and access any account inbox with username and password. SpyBubble is the leading spyware tool which is able to track all activities on monitored mobile device. It checks iOS or different operating systems for tracing and receiveing all the information. You won’t miss out anything. Facebook is the most popular free website and people of all ages use it to receive updates about their family and friends. This is the main reason of hacking into facebook in order to be aware of your boyfriend/girlfiend, wife/husband, children, employees or another relations. It is better to be sure about a relation to precede it to further levels. Installation of SpyBubble is the easiest way if you want to check history and trace the cellphone data without missing out anything. It is even possible to get the password of the facebook associated with the hacked smartphone through keylogger feature of SpyBubble. You can see through every minute of someone’s facebook account with SpyBubble spyware. Even if the user has deleted conversation from their cell, it is still feasible to recover them by using best tracker. It’s no longer difficult to know averything about any specific person. You require SpyBubble Subscription and receive one time access to target phone/iPhone in order to install the monitoring software. Once it is done, you can read all the messages and view information on FaceBook messenger inbox with your control panel login. You can’t miss even a single activity by using this spying software for your mobile online. Once you have downloaded SpyBubble monitoring spyware on the target device, it doesn’t show up again and again. It means that even if you don’t tell your users they are being spied; it would work well in a hidden way. It is indeed the powerful hacking tool to retrieve Facebook chatting details and many other features included in a comprehensive package. It gives you all the data you require about any phone. Whether it is a smartphone having android OS or iOS enabled phone, you will be able to read every FaceBook message without any fail. SpyBubble website has list of supported devices for spying.